Developing strong leaders for business and community engagement so they can create financial stability for themselves, their families and their communities. Working together to create a self-sufficient and thriving future for young adults! Helping Reconnect Youth and Young Adults to Opportunity and a Thriving Life! 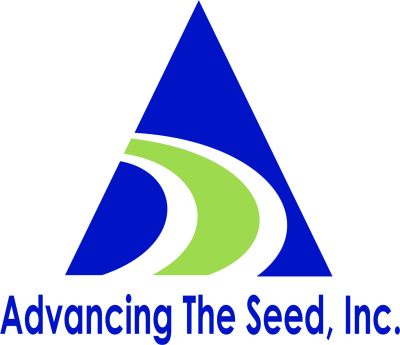 Seed funding provided by the Founders to establish Advancing The Seed, Inc. and IRS tax-exemption approval received. ATS, Inc. partnered with the Orange County Youth Center to provide supplemental training and development services under the Workforce Innovation Opportunity Act funding. Delivered entrepreneurship and financial management education, using STEM as part of the curriculum for students ranging from 5th grade through 10th grade. Our program expands in a pilot with young adults at the Norwalk location of the California Conservation Corps. Successfully completed a week long financial "fitness" and awareness week with forty (40) 4th grade students. A smaller group of thirteen (13) students also attended the after school financial education and entrepreneurship education program. Held the 1st Annual Activate Purpose Summit in Norwalk, CA. A look at how the homeless issue affects disconnected youth in the United States. UNDERSTANDING THE DILEMMA OF DISCONNECTED YOUTH IN THE U.S.
4.9 million young adults, ages 16-24, are disconnected. This means they are not enrolled in school or actively working. This challenge among older youth adds to the growing problems around poverty and homelessness. It can be both exciting and scary to plan for a new business. Read about five key areas that can help you move past "Start" and be well on your way to a successful startup. Your donation helps us to close the poverty gap by continuing to serve underserved individuals and communities with training, coaching and mentoring programs. Volunteers are critical to our programming success. We are grateful to our volunteers who assist with things ranging from classroom activities to social media management. Partner with us and volunteer today! Mentors are key to role-modeling and helping program participants achieve successful outcomes. We seek mentors from the public and private sectors to work with youth and young adults in our programs.